Pamela Ribon, the voice of Disney’s Snow White, discusses her role in creating “the princess scene” in Ralph Breaks The Internet. While in Los Angeles earlier this month, we sat down with Pamela Ribon to discuss her role in “the princess scene” in Ralph Breaks The Internet. Pamela is an author, screen writer, former blogger and even the voice of Snow White in Ralph Breaks The Internet. While working on Moana, she began brainstorming the concept of a princess and Vanellope came to mind. 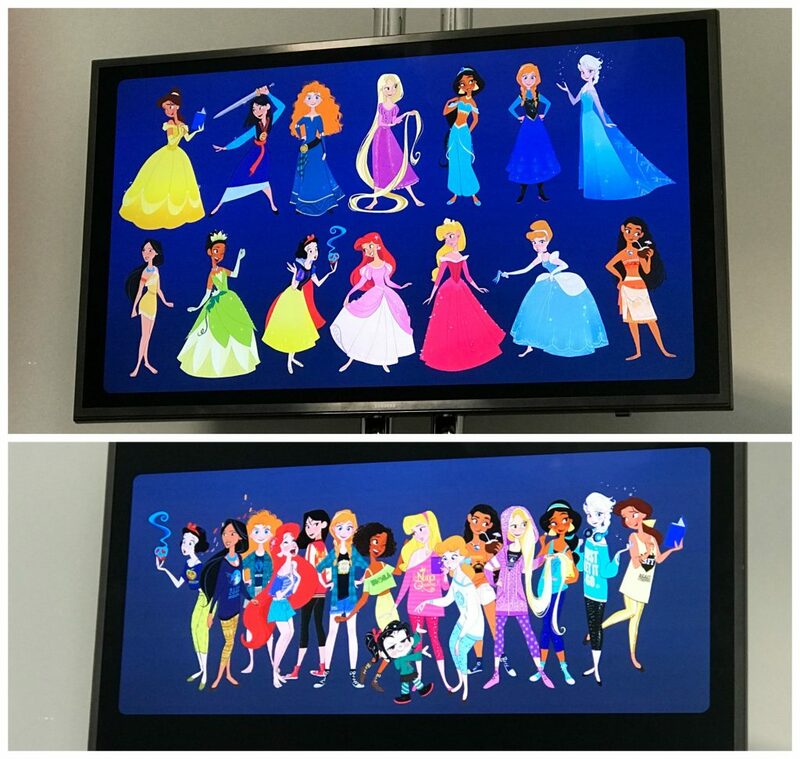 So this began her idea to include a princess scene in Ralph Breaks The Internet. 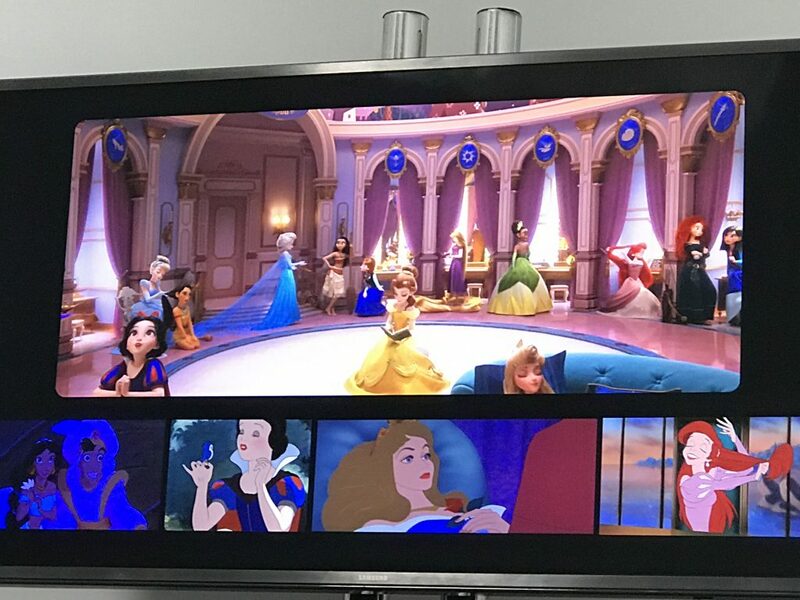 It took some effort to not only create all the princesses in a 3D version but this is also the first time all of the princesses are in the same room together. Legendary Disney animator Mark Henn was in charge of transforming the princesses from their original formats to the new 3D animation. The challenge was also to keep the look and movements of each princess while making it look natural when they come together in the same room. Take Ariel’s for example, Mark wanted to keep her movements (and hair) as such as she is still floating in water. They wanted to preserve those qualities of the princesses in which we all first fell in love with. The princesses come into Ralph Breaks The Internet while “off duty” from the shift at Oh My Disney! So, one big thing that was stressed is the concept of the princesses in their comfy clothes. This concept fit in perfectly with Vanellope, who prefers her hoodie over dresses and was a big hit with princess fans everywhere, because we now have the option of the ballgown princess attire or the comfy clothes princess look for Halloween. 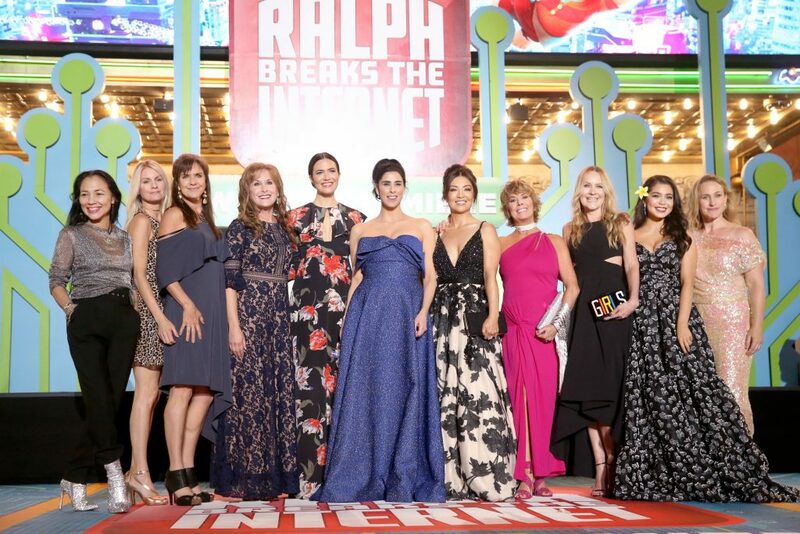 All of the original princesses came back to reprise their roles in Ralph Breaks The Internet! Well most of them, we know Pamela Ribon voiced Snow White, Jennifer Hale stepped in for Cinderella and Kate Higgins voices Aurora. 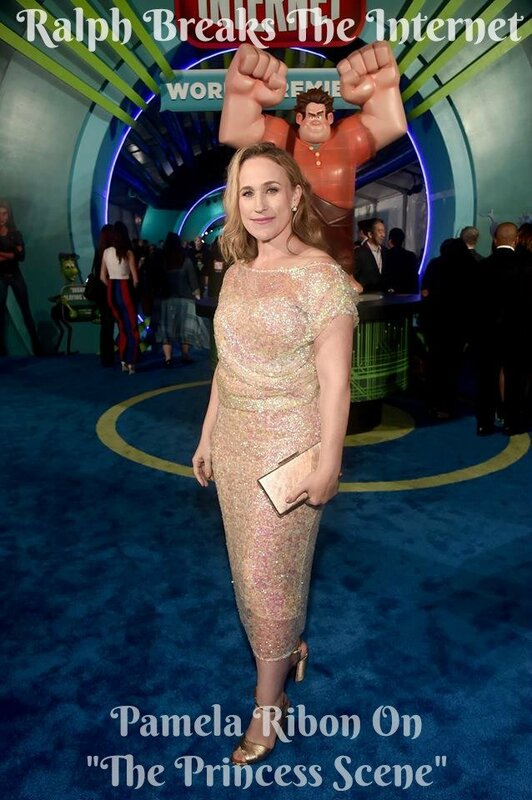 But it was like a big princess reunion seeing all the princesses not only grace Ralph Breaks The Internet movie but also the red carpet! It was an amazing experience getting an inside look at the creation of one of the biggest scenes in Ralph Breaks The Internet!! See some more of the Pamela Ribon interview in the video above, which is also found on The Geekly YouTube Page! 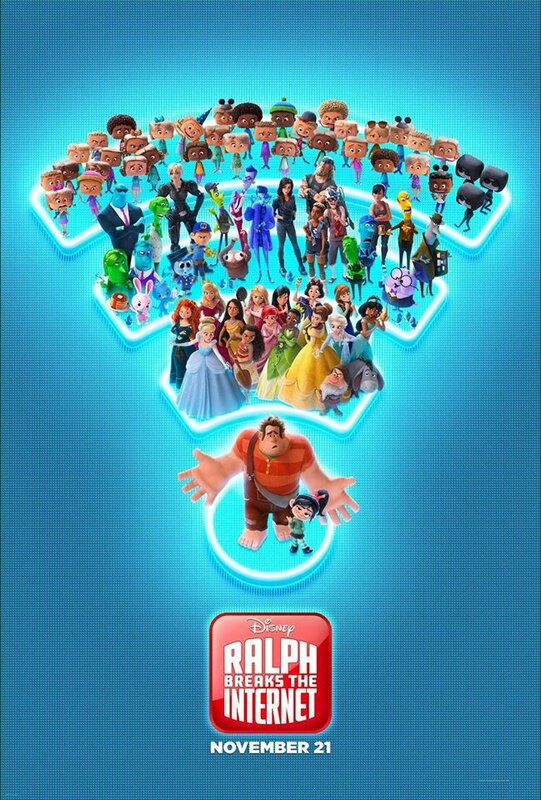 Ralph Breaks The Internet comes to Theaters TOMORROW November 21st!